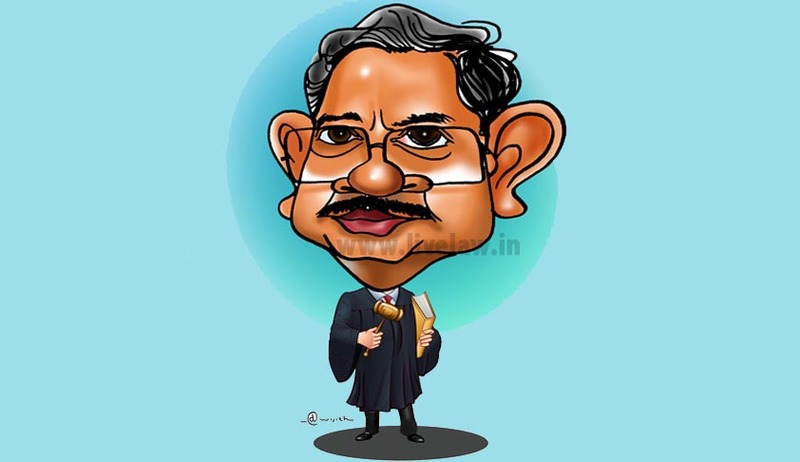 The former CJI, HL Dattu, as a Judge of the Supreme Court, had authored 82 reportable judgments of which he wrote just three judgments as the CJI. He had consented to 159 reportable judgments, including 18 as the CJI, which were authored by his brother Judges. He was part of the benches which delivered 342 non-reportable judgments or orders, most of whose authorship is not shown separately on the Supreme Court’s website. Justice Dattu assumed office as the Judge of the Supreme Court on 17 December 2008 and retired on 2 December this year. He had become the CJI on 28 September 2014. The Supreme Court’s website does not separately list the judgments or orders author-wise (rather than bench-wise). Manupatra has sought to fill this gap by section, Search Analytics - Judgments Authored. The following is the break-up of the reportable judgments, authored by Justice Dattu, year-wise during his tenure as the Supreme Court Judge, as listed under the Supreme Court’s website. These figures show that any Judge in the Supreme Court, in the first few years of his tenure, gets more opportunities to author judgments. Although it is the prerogative of the senior-most Judge of the Bench to decide who would write the judgment, after hearing a case, junior Judges do get opportunities to author judgments, if one wants to. Justice Dattu was no exception to this general trend. He was also a member of many Benches in which the judgments were authored by his brother Judges, during the first few years of his tenure. The numbers, however, show a sharp decline in 2012 and subsequently, the reasons, for which, are not easy to fathom. One reason could be that if a Judge becomes a Member of the five-member Collegium, the frequency of the Collegium meetings to fill vacancies in the Supreme Court and the High Court, might take a toll on the time available to the Judge, not only for hearing cases, for which reportable judgments were to be delivered, and authored. But Justice Dattu became a member of the Collegium only in 2013, by virtue of his seniority. One is tempted to suggest that Justice Dattu, as he became the senior Judge, was inclined to give opportunities to author Judgments, to his Junior colleagues. The other plausible reason could be that by 2012, Justice Dattu must have realised that he was on his way to become the CJI in December 2014, and therefore, quantity of judgments, authored or participated, no longer mattered. Being the Chief Justice of India, and therefore, the administrative head of the Judiciary, would doubtless leave the incumbent with even less time to devote to judicial work. Therefore, the number of judgments he authored, and the number of times he participated in the Bench decisions authored by his brother Judges, while as the CJI, was understandably less. Surprisingly, however, as the CJI, he could surpass his 2014 tally in this regard. Manupatra, under its section, Search Analytics - Judgment Authored, shows interesting results for Justice Dattu. During his term at Supreme Court, he is shown as having authored 114 judgments, ending with the Cochin Port Trust vs State of Kerala, delivered on 22 April this year. If one adds the two judgments authored and delivered by Justice Dattu after this date, (as this section in Manupatra has not been updated yet), then the total comes to 116. The two judgments seem to have been left out in Manupatra’s chronological list are Purushottam Dashrath Borate vs State of Maharashtra (wherein Justice Dattu confirmed a death sentence on 8 May this year) and Pradip Nanjee Gala vs Sales Tax Officer. It appears that the Manupatra data includes reportable and non-reportable decisions and that is why its results are somewhat more than the one obtained from the Supreme Court’s website. Manupatra’s list also includes Justice Dattu’s High Court judgments, authored by him when he was serving the Karnataka, Kerala and Chhattisgarh High Courts. The number of High Court judgments authored by Justice Dattu, as per this list, is 166. The total number of judgments, both as High Court as well as Supreme Court Judge, authored by Justice Dattu thus comes to 282. Thus in terms of quantity at least, Justice Dattu’s average authorship of judgments per year during his 20 year career as a Judge, comes to 14.1. Since there is no consensus on the ideal number of judgments which a Judge is expected to author, any conclusion as to the judicial competence of Justice Dattu, based on this average, may be unwarranted. *Parent Corporation not liable for the acts of its subsidiary. Corporate veil can be pierced and the parent company can be held liable for the conduct of its subsidiary, only if it is shown that the corporal form is misused to accomplish certain wrongful purposes, and further that the parent company is directly a participant in the wrong complained of. (Balwant Rai Saluja vs Air India Ltd. 25 August 2014). *In matters of personal liberty, the standard of proof needs to be high to justify an order of preventive detention. Higher standard of proof is required in circumstances involving life and liberty of a person (Gimik Piotr vs State of Tamil Nadu, 13 November 2009). *In Mohd.Hussain @ Julfikar Ali vs The State (Government of NCT of Delhi), delivered on 11 January 2012, Justice Dattu ordered retrial because the death row convict in this case was not provided a legal counsel by the trial court. His colleague on the Bench, Justice CK Prasad, while agreeing that his conviction was vitiated on this ground, did not find it fit for retrial, but ordered his release and deportation to Pakistan, as he is a Pakistan national. *In Ranjan Dwivedi vs CBI, Through its DG, (delivered on 17 August 2012) Justice Dattu refused to buy the theory of systemic failure, resulting in undue long delay in concluding a case. He blamed the inordinate delay in hearing the case of the accused in the assassination of former Bihar Congress Leader, Lalit Narain Mishra, to the dilatory tactics adopted by the counsel, and not to any systemic ills. *Apart from Purushottam Borate referred to earlier, Justice Dattu confirmed death sentences in Shabnam vs State of Uttar Pradesh, (delivered on 15th May 2015) and Deepak Rai vs State of Bihar (delivered on 19 September 2013) wherein he commuted the death sentence of one convict, while confirming the other two in the case. In Gudda vs State of Madhya Pradesh, delivered on 30 September 2013, he had commuted a death sentence to life imprisonment, holding it was not a rarest of rare case.